Miniprinter consumables include paper rolls, label rolls, ink ribbon cartridges, thermal transfer films and cleaning products. The range of items is vast and unfortunately we can't stock every variant of roll size, label or ribbon. 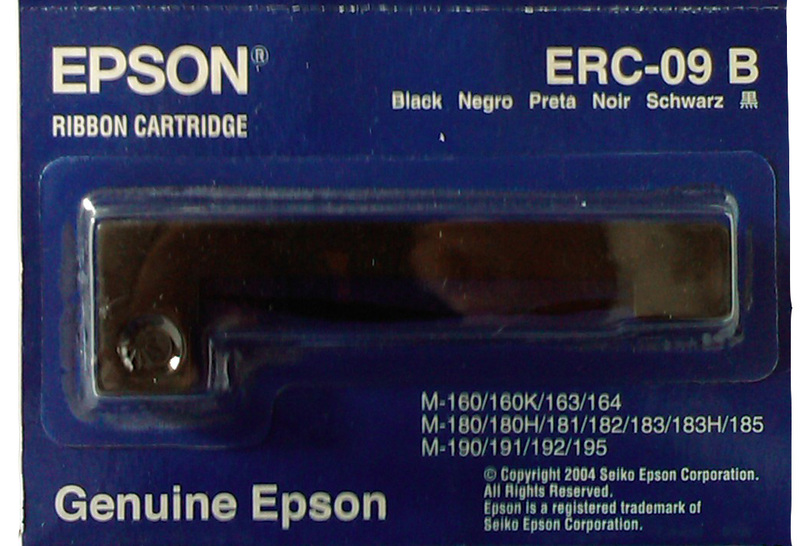 What we have done is to source top quality products to support the range of miniprinters offered. Some, but not all, of the consumables available can be referenced from this page but if you have a specific paper roll or ink ribbon requirement please contact us and we'll do our best to source something, or to refer you to an alternative supplier. 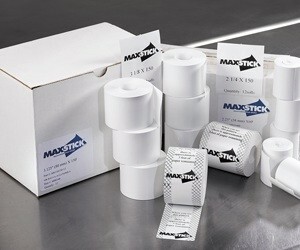 Adhesive labels are available in a vast array of sizes, webs, colours and material. They can be plain or pre-printed on one or both sides. For this reason, M-Tech Printers do not stock label rolls. Instead we can offer a quotation for labels upon request. 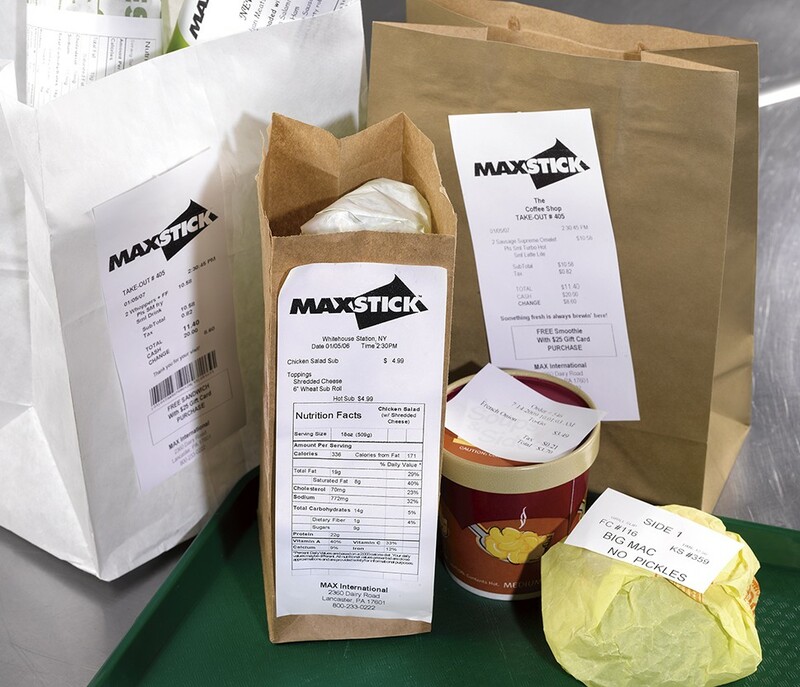 Our suppliers stock a vast range of popular label sizes for immediate delivery (direct to your address if required) and have a full customisation facility (subject to minimum order quantities) for bespoke sizes and pre-printed media. Thermal transfer ribbons are offered in different widths and lengths to suit the machine's capacity and the width of the media used. They can be wound with the transfer layer on the outside or inside face of the film. There is also a choice of slotted or unslotted cores. Three basic ribbon materials are available; Wax coated ribbons are commonly used for printing onto paper or card, Wax/Resin ribbons offer a higher performance for film media or paper, Resin ribbons are used in applications where high durability is required or for printing onto synthetic materials. Thermal transfer ribbons are normally black but a range of colour ribbons are also available. The exact formulation of wax and resin is an exact science and varies with colour and the composition of the printed material. For this reason, we do not stock any thermal transfer ribbons but can recommend specialist suppliers to suit your intended application. Please contact us for more details. According to a leading thermal printer manufacturer, a maintenance program can decrease print head failures by 80%. The not-so-hidden costs of neglect include lost production, customer dissatisfaction, frequent service calls, and premature equipment replacement. Despite this, regular head cleaning is often neglected. This prodcut range aims to offer outstanding convenience to ensure that a regular head cleaning programme is maintained. 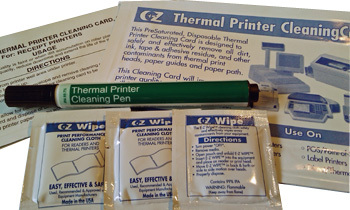 Thermal Head Cleaning Products. Ordinary Paper Rolls and Ink Ribbons. 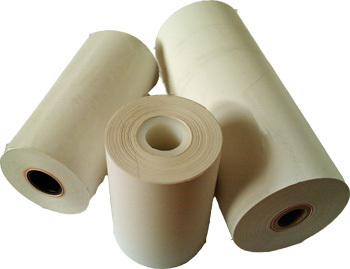 Paper Rolls for Thermal Printers.